LEAGOO Elite 4 Only RM499 In Malaysia | With the launch of Elite 5 which took place on 4th September 2015, the Elite 4 is next in line for its launch which took place today. The Elite 4 is a mid-range device that supports 4G LTE connectivity.This is the ideal device for those who needs a decent device but does not cost a lot. With a price tag of only RM499, it offers a decent hardware regardless its price. Weighing just 137g, the device is beautifully design with metal chassis along its sides.The Elite 4 bezels are made out of diamond cutting carving process technology to build the two slender delicate silver line to make the body even more attractive than others. Once in hand, you could tell the device has a solid built body and its rounded edges makes it even more comfortable to hold while using it. LEAGOO Elite 4 is powered by a 64–bit Quad Core processor clocked at 1.0 GHz and paired with 1GB of RAM. Unlike any other mid-range devices, the Elite 4 has a 16GB of internal storage with an option of storage expansion via Micro SD Card up to a maximum of 64GB. 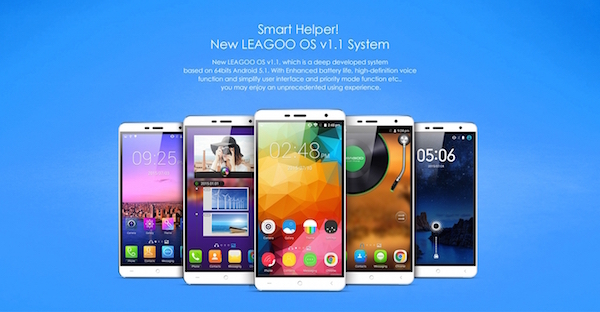 It came pre-loaded with LEAGOO’s very own user interface known as LEAGOO OS v1.1 which is developed on top of Android 5.1 Lollipop. The 5.0-inch LG large display features a 2.5mm ultra-narrow frame and IPS display technology for great viewing angle. Packed with a 2400mAh removable battery, the Elite 4 is equipped with a power sharing function for charging any secondary devices. With dual microphone mounted within the device, it guarantees a greater call quality and crispier audio during video recording. Like the rest of Elite series smartphone, the Elite 4 comes with “Gesture Wake” feature, where the users could simply wake their phone just by drawing gestures on its display.For example,by drawing “ S” at the screen, it will bring you to settings menu.It is possible to launch the camera by drawing “C” on the screen for easy access without having to unlock the phone first. For users accessibility, other useful gestures are made available too such as sliding down two fingers on the screen for changing the themes or sliding down three fingers on the screen to take a screen shot. The LEAGOO Elite 4 features a 8MP SONY rear camera and a 5MP SONY front facing camera that provides the users an excellent quality in capturing images and taking selfies. The Elite 4 comes in a multiple choice of vibrant colours to choose from such as Dazzling White, Midnight Black,Champagne Gold and Sweet Pink.